On 3 April 2019, H.E. 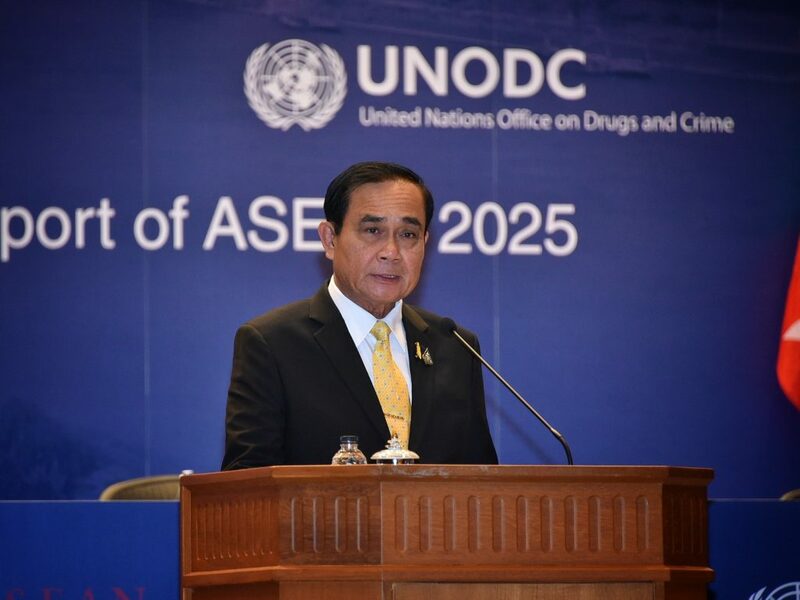 General Prayut Chan-o-cha Ret., Prime Minister of Thailand, presided over the opening ceremony of the High Level Regional Conference: Synchronising Trade and Security Plans in Support of ASEAN 2025, and delivered the key note speech proposing ASEAN to consider establishing an ASEAN-wide border management cooperation arrangement. The main objective of the Conference is to strengthen cooperation to safeguard the region from transnational crime and other cross-border challenges, while facilitating trade, investment and movement of peoples. H.E. General Prayut Chan-o-cha, Prime Minister of Thailand, was joined by H.E. 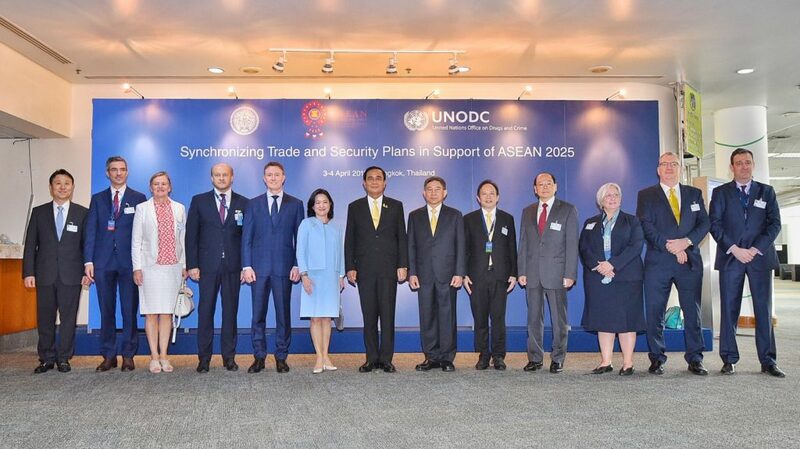 Air Chief Marshal Prajin Juntong, Deputy Prime Minister and Minister of Just of Thailand, Ms. Miwa Kato, Director, Division for Operations of the UNODC and ASEAN Ministers on Transnational Crime and high-level representatives at the High Level Regional Conference. H.E. General Prayut Chan-o-cha, Prime Minister of Thailand, was joined by H.E. 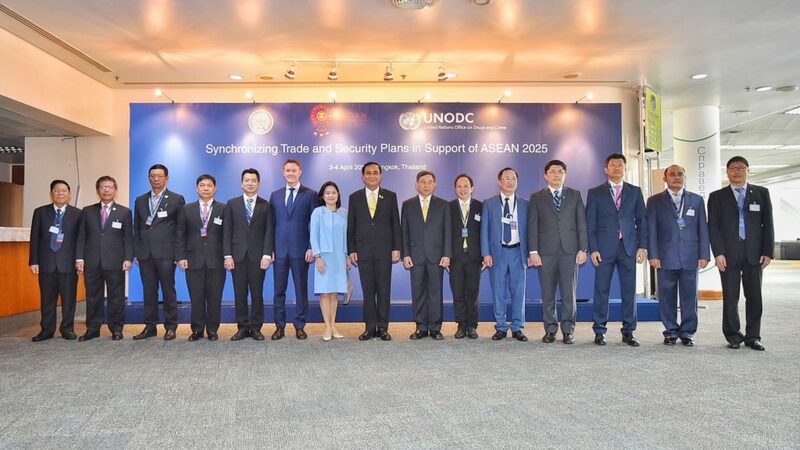 Air Chief Marshal Prajin Juntong, Deputy Prime Minister and Minister of Just of Thailand, Ms. Miwa Kato, Director, Division for Operations of the UNODC, and high-level representatives of ASEAN Dialogue Partners at the High Level Regional Conference.